Our Full Grain Leather is manufactured naturally leaving all scars and blemishes of the natural leather and is considered part of the character and beauty of the finished product. 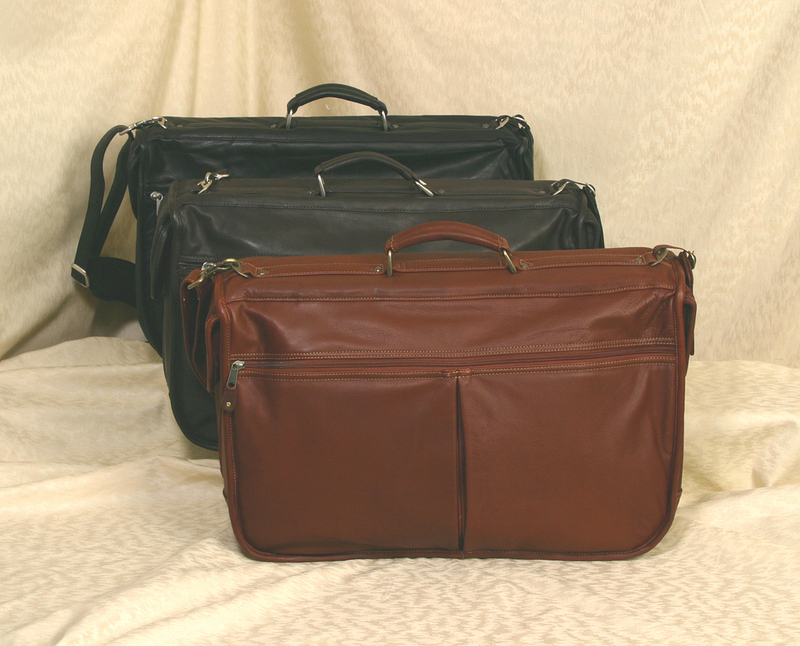 Our Leather Garment Bag is a full size bag that folds in half for easy storage. With a built in handle and a detachable padded ergonomic adjustable handle designed for comfort. Lined in a 420 Denier Nylon with PVC backing for durability. Numerous interior and exterior pockets are included for additional storage. A Free matching luggage tag will be included with your purchase. Great gift for Corporate travelers. Imprint Area: 8" x 6"